​*A. What's NEW for CCHS?? *** The New Cibola County History Museum, in Grants! Click on the Link - "Qtrly Meetings 2018-19"
New 2019 calendars are still available - "Churches of Cibola County"
*D. Recent Public History Programs? Just Click on the Link - "Qtrly Meetings 2018-19"
Presented by Dr. Ronald Stewart, Ph.D.
"Go to Air Museum" Tab: Museum buildings (accessible) and exhibits are complete. ***NEW: Metal Route Arrow 59B Restored!! *F . Ongoing - the 2018-19 Membership Drive! *Become a part of Cibola County History! 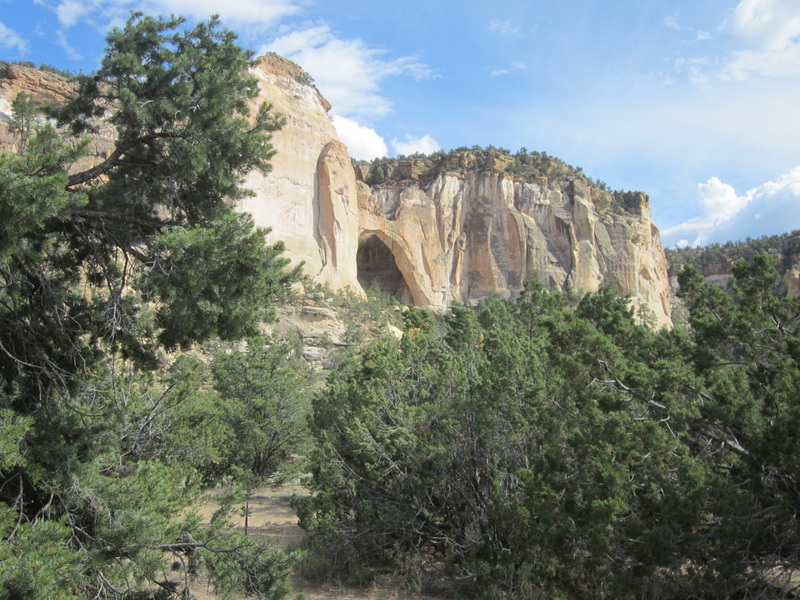 La Ventana Natural Arch, south of Grants on NM 117.